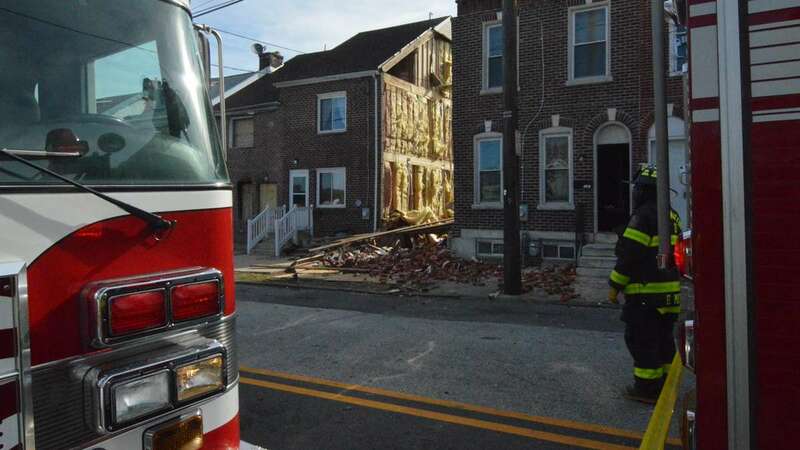 A family and two adults were displaced, and an elderly man suffered minor injuries, after a vacant building collapsed in Wilmington Wednesday. 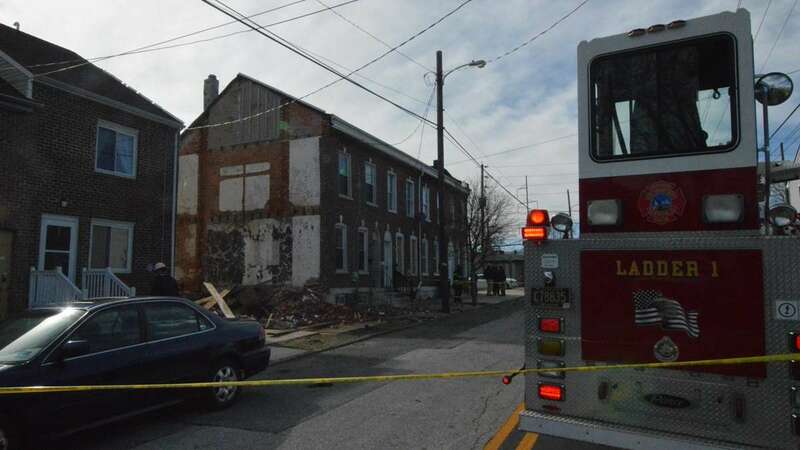 Wilmington City Firefighters were dispatched to a collapsed row home on North Heald St. shortly after 9 a.m.
Carolina Construction, a licensed contractor, had begun demolition work on the building on Tuesday. The fire department said it believes the collapse was caused by high winds loosening structures in place for the demolition. 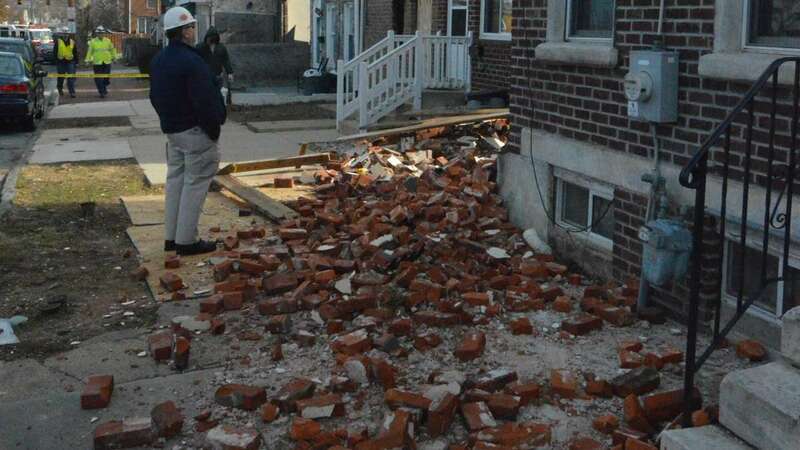 During the collapse an elderly male neighbor was startled and fell inside his residence. He was transported to Wilmington Hospital for evaluation with non-life-threatening injuries, according to the fire department. 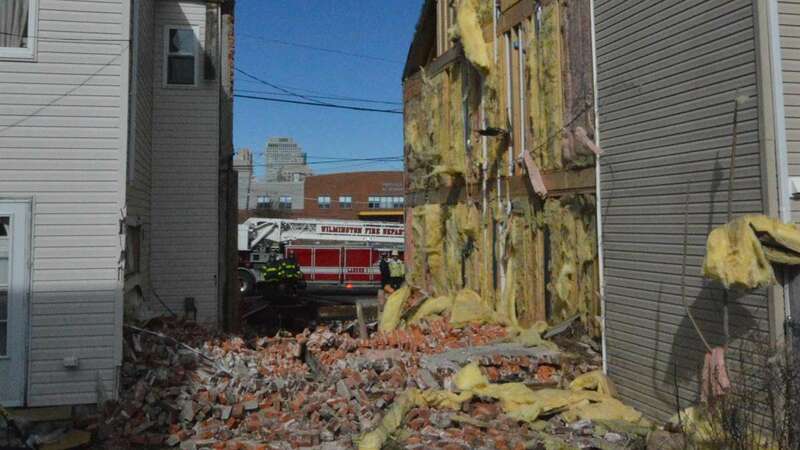 The adjoining properties were evacuated due to structural damage from the collapse. Two adults were relocated by Delaware Red Cross, and another family moved in with relatives. The collapse also caused a gas leak in one of the pipes on the street, causing the smell to leak into one of the properties. The Delmarva Gas and Electric Company was contacted to secure the gas main. 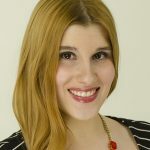 The incident was under control at 11 a.m., but the fire department and Delmarva remained on the scene.